Cut the clutter and get some help now with our collection of links, tips, ideas, and articles about The Organizing Pro! Don’t forget to follow Julie on Pinterest and Like us on Facebook for spur of the moment ‘pins’, thoughts and inspiration! Are you on houzz.com? Well, so are we! Our profile is: www.houzz.com/pro/theorganizingpro. Check us out for great tips and ideas. We will continue to add photos, projects and much more! A fantastic resource for home storage ideas! Looking for a quality dumpster rental service in Charlotte? Trust the waste management professionals at Dumpsters.com. Check out the 50 resources that were hand-selected to make your home improvement journey easier. You may have heard about all the 'tidying' up going on with the new Netflix show, so our own Julie Bertram weighed in recently on the The Charlotte Observer's Home/Design issue. Our own Julie Kilian Bertram was featured in an article called 'Clutter Wars' in a special Home/Design feature of the The Charlotte Observer. We were interviewed by Thumbtack.com! 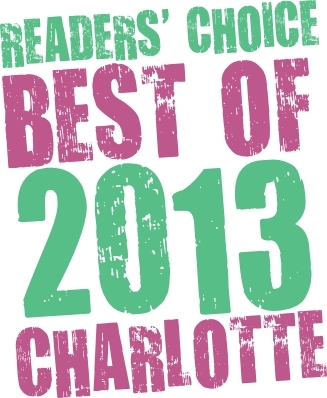 We contributed to an article for the Charlotte Observer! Read it here. We won! We won! 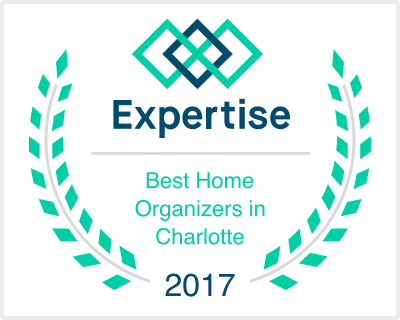 A HUGE thanks to everyone that voted for us in the Services: Best Closet/Garage Organizer in The Charlotte Observer contest last month. Complete results are published in the November 10th issue. We are proud to announce that owner, Julie Bertram's article "A perfectionist...really? ", was published in the January/February 2013 newsletter for the National Association of Professional Organizers. Julie Bertram is also the organizing expert for www.myschoolrocks.com, a monthly online publication that educates the public on the positive things happening in the Charlotte-Mecklenburg schools. My School Rocks! provides an innovative and engaging monthly magazine to foster respect for education and engage primary school students to read and learn. You can read Julie's blog posts in the Parents Blog section. Take control of the clutter with these Smarty tips! Tips and Tricks from The Pros!